The official website for Atlus’ new RPG project Project Re Fantasy: A Fool’s Journey Begins has been updated with part 1 of a development blog for the upcoming title. 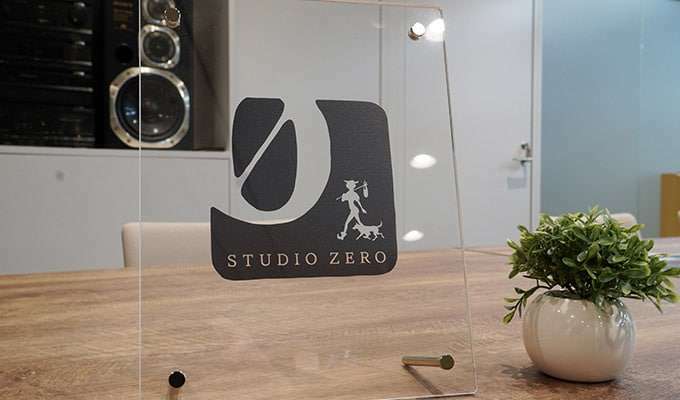 Part 1 features Studio Zero director & producer Katsura Hashino talking about the new studio, and it includes pictures of it as well. The project is still in its early stages, so the development of it is not in a high paced situation yet. 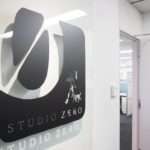 Hashino hopes to introduce the state of the studio, the current state of development, etc. 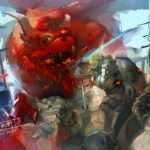 while asking other members of the team to participate using the development blog as the game advances. Hashino has been traveling with the staff, playing the Game Boy Color version of Dragon Quest III every day on a Game Boy Advance. The scenario setup and party members are completed after only a few minutes. It is a much faster speed compared to the setup of the Persona games. 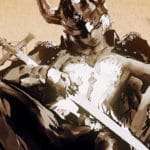 Making a more conscious “rhythm” has been a topic of discussion with other members regarding his new RPG, and it is a “rhythm” he would like to talk about in the future. A shield with the studio logo recently came in. 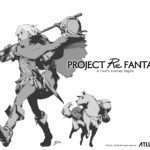 It includes the “Fool, a character that Soejima of the art work team inserted into the logo. Things can now be printed on various thing in a short time, so a T-shirt has also been made with the studio logo (left on a shelf without anyone having the opportunity to wear it). Hashino considers giving it as a gift to someone. 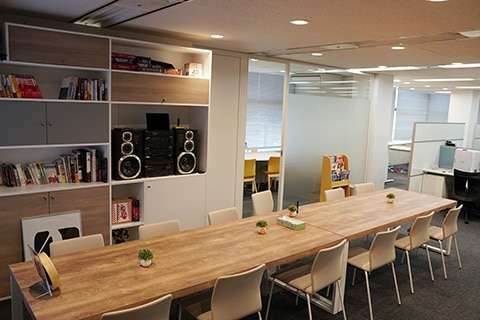 A long table has been placed beside the work space to ease communication. A Sony Liberty stereo can be seen in this image. 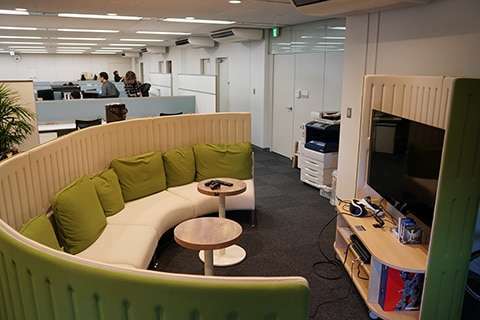 Working in this studio, there may be times when you hear jazz, or the P5 soundtrack playing in the background. Currently, the staff like to listen to the soundtrack from The Legend of Zelda. 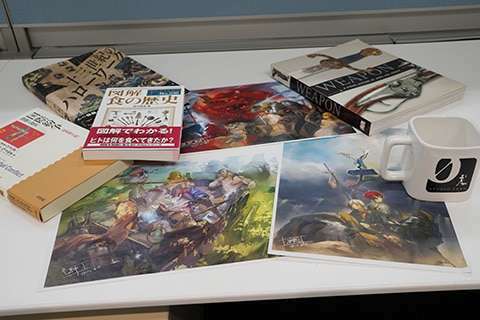 On a bookshelf, development materials are gathering little by little. 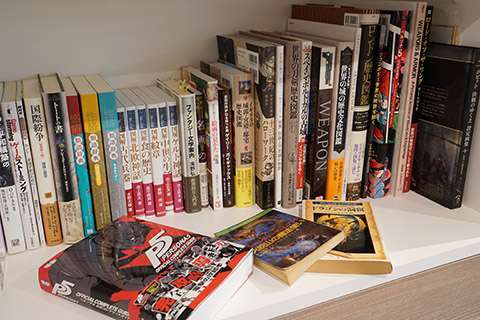 Hashino recommends good books to the staff and they read them, and vice-versa. While the blog may not be very popular right now, they started it because they are steadily preparing work on their title. And also because they are looking for development staff. Both the staff and the environment are still immature, and the team is still at a small stage, but Hashino wants to gradually make significant developments.